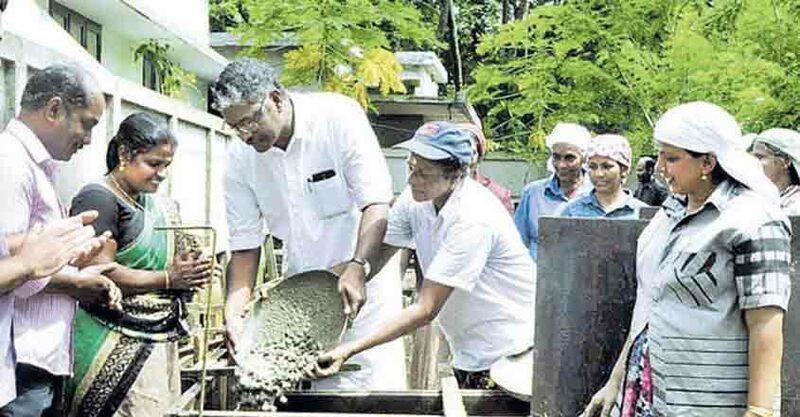 Several members of the Kudumbashree Community Development Society at Vadakkekara are all set to build a new house for another woman, a homemaker who is financially distressed. 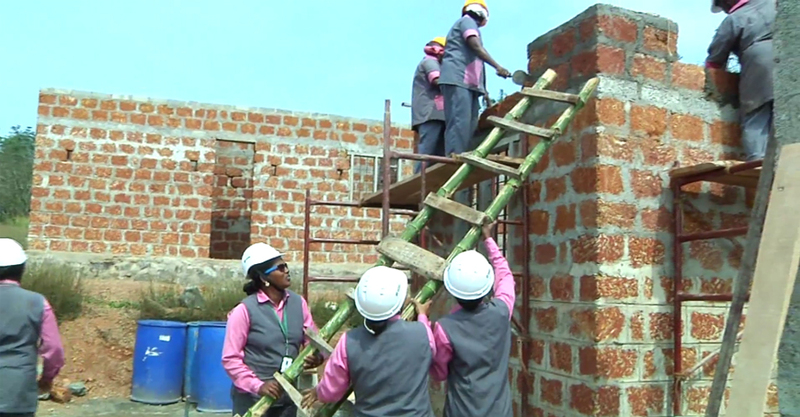 The women will construct the entire house under the supervision of four male workers who are experts in building construction. Odattu Vijayamma, a resident of Vavakadu, will soon move to her new house. Vijayamma, a widow, currently stays along with her old mother at a rented house which is in ruins. Baby Murali, Janu Sundaran, Ratna Dharman, Mallika Rajan, Rajitha Romu, Pushpakala, Yashoda Venu, Bindu and Vijayamma herself are involved in the construction of the house. Vijayamma has previous experience in constructing buildings, and the rest are Kudumbashree labourers under the Mahatma Gandhi National Rural Employment Guarantee Scheme. The panchayat has allotted Rs 4 lakh under the LIFE project for house construction. The women labourers will receive daily wages from the Kudumbashree district mission. The foundation stone of the house was laid by Panchayat president KM Ambrose. Kudumbashree is a women empowerment and poverty eradication programme of the Kerala government.